When you think of document management you might think of going through a paperless transition, or managing a document retention schedule and shredding old files for security. 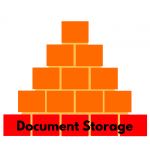 Storing files might seem like the last thing on a list of priorities for a document manager. After all, once the files are boxed up and labeled, not much else needs to be done. But, if the foundation of a document management process (i.e. the storage part) is well-thought out and meets the needs of the specific company, the entire document management workflow will become simpler and easier to handle. If document storage is conceptualized and performed thoroughly, records management can be effortless. As just one component of an effective overall records management strategy, document storage actually plays a fundamental role in delivering success. Below are a few examples of document management processes that, paired with the right form of document storage, can be made quite simple and manageable. How Can Offsite Document Storage Help These Companies? Company A benefits from offsite storage mainly via cost. Most paperless companies live mainly in the digital world, but paper records are sometimes necessary, and often physical copies of certain documents are kept as backups. Offsite records storage services are cheap. The average price for one foot of office space a month in the U.S. is around $1.75, where a cubic foot of offsite storage space costs on average $0.19 per month. Company A can house paper backups of digitized files offsite and use their expensive office space more effectively. Company B benefits from offsite document storage in several ways. 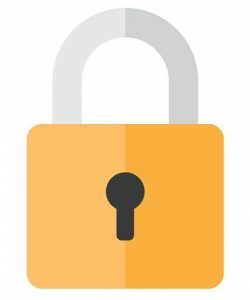 First, offsite storage facilities are incredibly secure, so keeping records that contain private information in a storage facility might be safer than storing them in the office. Second, storage facilities can work with you to set up regular deliveries of your files. As Company B’s records expire they can be delivered right to their office so they can be promptly shredded. As a bonus, most storage facilities partner with a shredding service, so documents can even be shredded onsite at the storage facility. While the scanning and shredding components of a document management project are active, more visible processes, don’t mistake them as more important than the storage process. With a proper document storage procedure in place, the more visible aspects of records management become streamlined and efficient. When you can count on stored files being safe, well maintained, and available to you when you need them, the rest of the process runs smoothly. Need to Revamp Your Document Storage Procedure? Record Nations understands the value of a seamless records storage plan and will help you find a solution that meets your unique needs. Call us at (866) 385-3706 or fill out the form on the right for free quotes on secure, reliable document storage services in your area. We look forward to helping streamline your records management processes.